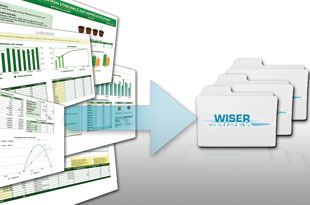 To a large extent, WISER is based on existing data sources including those being presently compiled within new WFD-compliant national and international monitoring programmes. This is an important advantage compared to the majority of previous projects, since the new monitoring programmes are based on more harmonised methods than earlier programmes, and will provide considerably more biological and pressure data from all European regions. The new datasets are more comprehensive, better comparable and have reduced measurement errors and other sources of uncertainty. Moreover, data collected in previous research projects and national monitoring programmes will also be used to a large extent. The main objective of module 2 is to provide information, guidelines and technical solutions for the work on indicators that will take place in other modules. The main challenges of combining the existing data from several sources are to harmonise the lists of sampling stations, taxonomic lists, and parameter units of measurement. Moreover, in order to address the WFD requirements for ecological assessment systems, we must be able to organise the data in certain ways: Water bodies are assigned to groups (e.g., intercalibration types) using available physico-chemical data. Biological data is linked with physico-chemical data (pressures). Results from different water categories (e.g., lakes, rivers) are linked at the catchment scale and data on different BQEs from the same location is combined.